The Best Tourism blogs from thousands of top Tourism blogs in our index using search and social metrics. Data will be refreshed once a week. 2.32 Miss Tourist - Adventure Travel Blog - Take your vacation to a new level! Tourism newsletter is a comprehensive summary of the day's most important blog posts and news articles from the best Tourism websites on the web, and delivered to your email inbox each morning. To subscribe, simply provide us with your email address. About Blog Tourism Review is a news portal targeted at travel and tourism professionals across nation with multi-national and multi-site locations publishing news articles about and for the tourism industry. Tourism Review helps travel companies/organizations/destinations reach potential customers locally. Facebook fans 5,038. Twitter followers 34,644. About Blog Global Travel and Tourism news and updates, trends. Global voice for travelers and tourism professionals. The mission of eTurboNews Group is to provide a cost-effective B2B service of news, PR representation for the global travel and tourism industry and information distribution through email and web site archival storage, search facilities and readership tracking. Facebook fans 25,717. Twitter followers 23,544. Connecticut, USA About Blog Tnooz is a global provider of news, analysis, commentary, education, data and business services to the travel, tourism and hospitality industry. It is the leading voice to the industry for all areas related to travel technology. Facebook fans 20,255. Twitter followers 40,709.
worldwide About Blog Updates and comments on activities by the United Nations World Tourism Organization (UNWTO), World Travel & Tourism Council (WTTC), Pacific Asia Travel Association (PATA), the International Coalition of Tourism Partners (ICTP) and other global association close to Travel & Tourism. Athens, Bangkok About Blog TravelDailyNews is a network of news portals for the travel professionals. TravelDailyNews Media Network includes TravelDailyNews International, TravelDailyNews Asia-Pacific and TravelDailyNews Greece & Cyprus. They are online travel trade publications of Travel Media Applications. Facebook fans 23,206. Twitter followers 13,472. Victoria, London About Blog Travel Weekly is the UK's market-leading publication for the travel industry, and boasts a presence in print, online and with a portfolio of events. It is part of the Travel Weekly Group portfolio owned by Jacobs Media Group, Europe's largest travel and hospitality B2B media company. Facebook fans 12,202. Twitter followers 94,836. New York City, NY About Blog Skift is the largest industry intelligence platform providing Media, Insights and Marketing to key sectors of travel. It is a travel intelligence company that offers news, information, data and services to professionals in the travel industry and professional travellers to help them make smart decisions about travel. Facebook fans 36,752. Twitter followers 77,330. New York, NY About Blog The BTN Group is the undisputed leader of business travel and meeting information and intelligence in North America. The BTN Group has an unrivaled reach of more than 65,000 business travel/meeting professionals with its leading global brands; Business Travel News,Travel Procurement and The Beat. Facebook fans 2,465. Twitter followers 30,709. New Delhi About Blog TourismBreakingNews.com is India's leading web portal that covers news across all verticals of the travel and tourism industry in real-time, Of the Industry, By the Industry, For the Industry. We highlight important trends, news and events in the travel and tourism sector which are required to keep you abreast in your business. Facebook fans 2,257. Twitter followers 61. Australia About Blog Tourism Tribe is an online community that connects tourism operators, industry and digital experts in a supported learning environment. If you are in the business of Tourism, Tourism Tribe is your one stop shop to learn and receive help wtih anything digital. Facebook fans 780. Twitter followers 517. Mountain View, CA About Blog Comprehensive up-to-date coverage for tourism, aggregated from news sources all over the world by Google News. Facebook fans n/a. Twitter followers 212,980. Australia About Blog Helping Tourism Businesses & Destinations attract more of their most profitable customers. Our mission is to offer destination marketing staff and tourism operators a motivating and supportive education platform focused on relevant business marketing principles, with the aim of improving their opportunity in the marketplace. Facebook fans 1,314. Twitter followers 410. Australia About Blog Queensland.com is the official visitor site for Tourism and Events Queensland. Our goal is to deliver the best visitor experience, and provide the most helpful information on Queensland destinations, experiences, accommodation and cultural events. Facebook fans 1,764,952. Twitter followers 135,629. South Africa About Blog The South African Travel &Tourism Blog aims to enrich your experience of our country. A visit to South Africa offers much: attractions, wildlife, natural beauty, beaches, hospitality, culture, heritage and more. Get most comprehensive online source of information on travel to and around South Africa. Facebook fans 336,771. Twitter followers 247,154. Philadelphia, PA About Blog Uwishunu is the official tourism blog of Philadelphia's, Philly's go-to resource for finding out about what's happening in and around the city. Our mission is to provide you with the latest on why to love this city, whether you're visiting us or are lucky enough to reside here, and just how to get out there and take full advantage of your time in the City of Brotherly Love. Facebook fans 773,697. Twitter followers 205,806. Finland About Blog Become inspired to travel to Finland. Discover fantastic things to do, places to go and more. Visit the official Travel Guide of Finland here. Facebook fans 498,754. Twitter followers 64,726. San Diego, CA About Blog Find events and insights to help you plan your next San Diego vacation. Escape the hectic pace of the holiday's and plan for a laid-back season enjoying the warm sun and a host of fun-filled activities for the whole family. Facebook fans 460,124. Twitter followers 161,373. Seattle, WA About Blog Visit Seattle is a private, nonprofit marketing organization serving as Seattle and King County's official destination marketing organization (DMO) for more than 50 years. This blog is an official source for information on visiting Seattle, Washington, Lodging, entertainment, food/drink, sports, attractions & more. Facebook fans 459,029. Twitter followers 44,410. Montréal, Québec, Canada About Blog Find everything you need to plan your dream trip to Montréal. Facebook fans 272,212. Twitter followers 154,666. Walt Disney World & Disneyland About Blog Tips & tricks for Disney World, Disneyland, and more. Disney vacation planning guide with money saving tips for travel, with restaurant & hotel reviews, top 10 lists, plus other ideas! Facebook fans 161,736. Twitter followers 15,112. India About Blog Traveling to India? Browse Tour My India Blog that offers information about all the exotic and amazing travel destinations in India. Facebook fans 137,273. Twitter followers 2,592. Vancouver British Columbia About Blog Considering Vancouver for your next meeting? We've got all of the resources you need to get started, and our blog will give you an insider's perspective on what it's like to host your meeting in our beautiful city. Vancouver hotels, restaurants, things to do, events - Tourism Vancouver is the official source of tourist information for Vancouver BC Canada. Facebook fans n/a. Twitter followers 132,225. Valencia (Spain) About Blog TURISMO VALENCIA is a non-profit Foundation with the participation of the Valencia City Council. Our goal is the strategic management and promotion of the city of Valencia in the tourism sector, with a professional focus which combines public and private interest. This blog helps you to discover what to see, what to do, the best places, where to eat and more. Facebook fans 18,583. Twitter followers 2,726. Dallas, TX About Blog Our mission is To market Dallas as the ideal convention and visitor destination to the regional, national and international marketplace and to favorably impact the Dallas economy through meetings and tourism. Facebook fans 166,373. Twitter followers 42,874. Victoria, British Columbia, Ca About Blog Tourism Victoria is a not-for-profit industry association responsible for the development and promotion of tourism in Greater Victoria. We inspire the world to experience our destination. Find hotels, things to do, restaurants, local events and travel information from Tourism Victoria, the official travel authority for Victoria, BC. Facebook fans 50,045. Twitter followers 35,926. Cape Town, South Africa About Blog Cape Town Tourism is the City of Cape Town’s official regional tourism organisation, responsible for destination marketing, visitor and industry services. Follow us to keep up with things to do, sites to see, where to eat and the best places to stay in Cape Town. Facebook fans 491,609. Twitter followers 11,261. Santa Rosa, CA About Blog Sonoma County Tourism is the official Destination Marketing Organization(DMO) for California's Sonoma County. It is a private, non-profit marketing and sales organization. With more than 425 wineries, miles of rugged Pacific coastline, towering redwood forests, and its close proximity to San Francisco's Golden Gate Bridge, it is a traveller's dream vacation spot in California. Facebook fans 297,495. Twitter followers 29,729. Kochi, Kerala About Blog We are Iris Holidays, a full service Kerala tours operator based in Kerala, India. Our goal is to provide you with a comfortable, safe and incredible holiday experience in God's Own Country- Kerala! This blog provide an incredible experience in Kerala with complete peace of mind as we take care of all the mundane realities of travel, leaving guests free to enjoy every moment in Kerala. Facebook fans 8,785. Twitter followers 673. Missouri About Blog Welcome to the Missouri Division of Tourism's Industry Portal, which provides access to MDT's online resources and information. Here you'll find information on the variety of things to see and do in Missouri, from important landmarks to stops along the road to family-friendly attractions to elegant restaurants and more. Facebook fans 336,084. Twitter followers 14,298. Massachusetts, USA About Blog The Massachusetts Office of Travel & Tourism (MOTT) is the state agency dedicated to marketing Massachusetts as a leisure-travel destination.Our mission is to promote Massachusetts as both a leisure and business travel destination for domestic and international markets and to contribute to the growth of the Commonwealth's economy. Facebook fans 223,245. Twitter followers 77,996. 32. Miss Tourist - Adventure Travel Blog - Take your vacation to a new level! Bali, Indonesia About Blog The ultimate guide to adventure travel! Get expert tips for travel , cheap deals, travel prizes and adventures around the world. Facebook fans 9,169. Twitter followers 71,768. Canary Islands About Blog Surrounded by the cool blue waters of the Atlantic Ocean, the Canary Islands show off all their magic in an archipelago unique in the world for its diversity and subtropical beauty; an entire universe that you can enjoy in a spring-like climate. Our mission is to share the beauty and wonder of the Canary Islands with the world. Facebook fans 159,307. Twitter followers 14,822. About Blog Enjoy the perks of being a visitor in a foreign place without 'standing out' as a tourist. No backpacks, hostels or 5-star hotels - It's all on my blog! Iowa About Blog Travel Iowa is part of the Iowa Tourism Office and the Iowa Economic Development Authority; the official tourism marketing organization for the state of Iowa. Whether you want to write great content or read great content, Travel Iowa is for you. This blog features Iowa's attractions, events, communities & destinations. Facebook fans 126,839. Twitter followers 23,276. Melbourne, Victoria, Australia About Blog Discover the towns and cities of Victoria, experience a range of activities and adventures, enjoy food and wine and great scenery. From its beaches to rivers, mountains and snow fields, Victoria has it all. A range of content for either travellers, visitors to Victoria and Melbourne and for those working in the tourism industry. Facebook fans 20,801. Twitter followers 6,498. The Lake District, Cumbria About Blog The website www.golakes.co.uk is owned and managed by Cumbria Tourism, the regional tourist board for Cumbria and the Lake District. Cumbria & the Lake District are the most beautiful parts of Britain. With stunning landscapes, lakes, mountains, coastline, historic sites and a wide range of accommodation there's no better place to come and unwind. Facebook fans 186,646. Twitter followers 20,560. Port Elizabeth, South Africa About Blog Nelson Mandela Bay (Port Elizabeth, Uitenhage and Despatch) is home to excellent attractions and experiences. The active tourist can enjoy the excitement of the Boardwalk Casino and Entertainment World in Summerstrand, boasting a full mix of family fun, entertainment, shopping, dining and gaming. Follow us for more information on where to go and what to see in Nelson Mandela Bay. Facebook fans 9,081. Twitter followers 15,700. Traverse City, Michigan About Blog Traverse City Tourism (TCT) is a nonprofit corporation that serves as the area’s official destination marketing organization.Our focused mission is to stimulate economic growth through the attraction of convention business and leisure tourism development. Located along the beautiful Lake Michigan shoreline Traverse City is an incredible four-season destination in Michigan. Facebook fans 110,213. Twitter followers 20,978. About Blog The official tourism website for the government of Japan and the first stop for anyone thinking of making a journey to the land of Endless Discovery. Facebook fans 162,838. Twitter followers n/a. Indianapolis, IN About Blog The Indiana Office of Tourism Development (IOTD) works to coordinate efforts to promote travel throughout Indiana. Additionally, IOTD assists to enhance the visitor experience by providing up-to-date travel information for pre-planning activities and the duration of their Indiana vacation. Indiana has abundant beauty, relaxation and rejuvenation, culture and charisma, excitement and entertainment. Facebook fans 45,874. Twitter followers 43,387. Delaware About Blog The Delaware Tourism Office website is to provide tourism industry related businesses and organizations with access to tools and resources that will help promote Delaware as a premier tourist destination. Discover all the things to do and see in Delaware! Get info on hotels, restaurants, attractions, and activities in the great state of Delaware. Facebook fans 47,722. Twitter followers 23,055. Leavenworth | Washington | USA About Blog Located at the 99th mile of scenic and historic Highway 2, the Bavarian Village of Leavenworth is perfectly situated for beauty, enrichment, and adventure. Whether on a bike, in a raft, or with a glass of our local wine, the spectrum of enjoyment and recreation opportunities in and around Leavenworth make town the ultimate basecamp for your next adventure. Facebook fans 123,268. Twitter followers 3,172. Muskoka, ON About Blog Muskoka Tourism Marketing Agency is a not-for-profit membership association funded by both the District of Muskoka and the private sector. It provides up-to-the-minute tourism information for travellers looking for places to stay, things to do, events, and where to eat in Muskoka. Facebook fans 33,501. Twitter followers 9,869. 10 Mechanic St., Bellingham,MA About Blog Bellingham Whatcom County Tourism is the county's official tourism agency. We are a non-profit organization with over 700 members representing a variety of tourism and community-related businesses. The Official Visitor Information Center for Bellingham, Washington and the surrounding Whatcom County, featuring hotels, restaurants and activities. Facebook fans 7,199. Twitter followers 489. Kansas About Blog Kansas is rich in the unexpected, often confounding to even savvy travellers, offering hidden gems and secret trophies, a place where modest itineraries are regularly derailed by a wealth of unforeseen possibilities just too good to pass up. Get All of the Info You Need, From Dining, Shopping, Hotels, Camping, Attractions & Things to Do. Facebook fans 19,295. Twitter followers 8,521. About Blog The Malindian is a website/blog thats covers absolutely everything about Malindi. We cover anything that impacts every girl or boy, young or old, from Governance, sports, politics, entertainment, lifestyle,gossip, rumours, schools/Education etc. Facebook fans 5,120. Twitter followers n/a. London UK About Blog A leading tour operator in the UK for outgoing tourism and business tourism to Russia for individuals, groups and companies. This blog is all about Russia Tourism. Facebook fans 2,628. Twitter followers 704. About Blog Vacations are the best time of the year. And when it is planned in Kerala, it's even better. We make sure that you see the land of God in its perfect bliss. Kerala Tourism Blog by Kerala tour packages guide. Information about Kerala tourism destinations, things to do around the tourist places & Events happening. Edmonton, Alberta, Canada About Blog Edmonton Tourism promotes Greater Edmonton as the destination of choice for tourism, conventions, major events and film production. Facebook fans 112,308. Twitter followers 122. Huntington Beach, California About Blog This is the official Destination Marketing Organization (DMO) for Huntington Beach, California. It is a non-profit organization which promotes tourism to Huntington Beach. Facebook fans 64,160. Twitter followers 14,208. India About Blog tripraja.com is your one Stop Tour Guide of all trips is the best thing happening today. A Guide to Book watersport activities, houseboat trips, snorkeling, jungle safari, etc. You name it and rest leave on us. Facebook fans 1,247. Twitter followers 761. Portugal About Blog This is the first portal in Portugal to book online reservations exclusively on the most luxurious wine hotels, boutique hotels and deluxe or boutique rural hotels related to the Wine Tourism. It also offers wine cellars tours, wine farms, museums, as well as reservations at wine restaurants and at the most enchanting Wine Tourism experiences, exclusive and bespoke tours. Facebook fans 5,905. Twitter followers 3,109. St.George Utah About Blog The St. George & Zion Area Tourism Office has all the info you need to take a vacation to the southwest including St. George and Zion National Park. Keep up to date with all the latest events in the area, as well as highlights at Zion Park. Facebook fans 10,790. Twitter followers 2,505. Kelowna, British Columbia About Blog Tourism Kelowna is a not-for-profit society that is governed by the tourism industry stakeholders through an elected Board of Directors. Our mission to generate overnight visitor demand to economically benefit Kelowna and its neighbouring communities. Visit the city of Kelowna, the gateway to the stunning Okanagan Valley. The area offers hotels, wineries, restaurants, and yearly events. Facebook fans 61,563. Twitter followers 15,582. About Blog We are a company that provides information about Kyrgyzstan to travellers as well as the various tours offered throughout the country. We are a platform for connecting travellers directly with local tour operators and providing secure payment methods. Our mission is to develop tourism in Kyrgyzstan and other countries of Asia and the Caucasus through the establishment of online travel shop. Facebook fans 7,842. Twitter followers 6,373. Montgomery County, MD About Blog Visit Montgomery is the official destination and travel website for Montgomery County, Maryland. The mission of Visit Montgomery is to give our visitors useful information for a visit to Montgomery County and Washington DC area. Visit Montgomery County, Maryland is a go to travel guide for top restaurants, top attractions, and the best shopping in DC. Facebook fans 44,213. Twitter followers 5,955. Beaumont, Texas About Blog The the official Destination Marketing Organization (DMO) for Beaumont, Texas. It is the perfect destination for your next trip. Our mission is to entice groups, conventions, meetings and leisure travellers to choose Beaumont as their meeting or vacation destination. Facebook fans 14,285. Twitter followers 278. Facebook fans 1,658. Twitter followers 267. About Blog We’re a web design company, we offer you a complete package to ensure that you actually are generating more sales. We make websites for tour operators that are more affordable and more effective using our gorgeous template system. We provide slleek and affordable web design for tourism and accommodation businesses. Facebook fans 848. Twitter followers 1,720. Franschhoek About Blog Official Destination Marketing Organisation (DMO) of Franschhoek, located in the Western Cape, South Africa. Nestled between towering mountains in the beautiful Cape winelands lies the magnificent Franschhoek Valley. This is the food and wine heartland of the country, where splendid wines are grown and our top chefs create international cuisine. Facebook fans 16,835. Twitter followers 9,658. Oceanside, CA About Blog The Visit Oceanside Conference and Visitors Bureau is the official tourism marketing organization in Oceanside, Calif; promoting travel to the city for both leisure and group visitors. The gateway to San Diego and Orange County, California, Oceanside is the classic California beach community with its warm sandy beaches, historic wooden pier and Cape Cod-style harbor village. Facebook fans 42,441. Twitter followers 11,467. Kamloops, BC About Blog Located in the heart of British Columbia's Thompson Region, Kamloops is far more than just a small town. It's a state of mind, a place where you skip the crowds, stretch your legs and expand your horizons. Kamloops is the place where families, urban and rural adventurers forge incredible experiences and create enduring memories. Come #explorekamloops with us! Facebook fans 27,339. Twitter followers 10,643. About Blog Located at the foot of Mýrdalsjökull glacier, the tour company Arcanum is one of Iceland’s best known and respected glacier tours outfitters. At Arcanum, we aim to reveal the secrets of Iceland’s astonishing natural phenomenons to the curious traveller. This blog features Iceland Snowmobile Tours & Glacier Walk & ATV Quad Bike South Coast Tour. Facebook fans 2,055. Twitter followers n/a. Saratoga County, NY About Blog Saratoga Convention & Tourism Bureau is a key economic development engine for the Saratoga region. Mission of the Saratoga Convention & Tourism Bureau is to contribute a positive impact on the local economy by promoting and marketing Saratoga Springs and Saratoga County as a world-class destination for meetings, conventions and groups. This blog is an official travel guide to Saratoga Springs NY. Facebook fans 6,643. Twitter followers 5,727. Frisco, Texas About Blog Our mission is to generate a positive awareness of Frisco as a premiere destination for meetings, sporting events, conventions, trade shows, and leisure travel and to positively impact the economic base of the City of Frisco. From shopping to sports, art and history, there are a variety of experiences you can enjoy when visiting Frisco! Facebook fans 58,191. Twitter followers 8,204. Nanaimo, British Columbia About Blog Welcome to the Official Blog for Tourism Nanaimo! Whether you’re a visitor or a local, we’re here to help you explore our beautiful paradise! We cover everything from outdoor adventures, local sips & eats, great shopping, events, and fun activities for the whole family! The city of Nanaimo is a classic West Coast community, offering natural beauty at every turn, and vast recreation potential. Facebook fans 13,474. Twitter followers 11,102. North Vancouver, BC Canada About Blog Vancouver’s North Shore is more than just a spectacular backdrop for one of the world’s most scenic cities. It’s teeming with life, wild and urban, and the possibilities of what to do with your time here are endless. This is an official blog for Vancouver's North Shore Tourism. Facebook fans 12,690. Twitter followers 5,156. Cedar Falls, Iowa About Blog The mission of the Cedar Falls Tourism and Visitors Bureau is to foster, promote, market and service our community as a quality destination for visitors. Facebook fans 6,292. Twitter followers 3,354. Niagara Falls, Ontario About Blog Clifton Hill offers the most incredible experiences in Niagara Falls, Canada. We are known as the most popular family-fun street and tourist draw in Niagara Falls.Our street comes alive with exciting attractions, gift shops, museums, haunted houses, video arcades, restaurants, hotels and unique attractions. This is the place to go for family amusement and the centre for night life. Facebook fans 33,818. Twitter followers 2,848. Burnaby, BC About Blog Tourism Burnaby is a non-profit destination marketing organization whose purpose is to support tourism promotional activities in order to increase visitation to the city. Discover exquisite dining options, accommodations, shopping, meeting venues & more, all just 15 minutes from downtown Vancouver. Facebook fans 3,328. Twitter followers 5,947. Burlington, ON, Canada About Blog Tourism Burlington is a strategic partnership dedicated to increasing the community's tourism potential by: Attracting increased numbers of visitors throughout the year, Optimizing community and industry economic benefits, increasing our tourism industry capacities. The City of Burlington is conveniently located between Toronto and Niagara Falls. Facebook fans 4,049. Twitter followers 10,943. Golden, BC Canada About Blog Tourism Golden is a non-profit, tourism industry-lead Destination Marketing Organization (DMO) representing the Town of Golden and surrounding area known as Kicking Horse Country in British Columbia, Canada. Surrounded by the Canadian Rockies and Columbia Mountains it is perfectly located at the junction of the historic Kicking Horse and Columbia Rivers. Facebook fans 13,356. Twitter followers 2,548. Jaipur, India About Blog Bhati tours offers its clients customized experiences with safe transportation and English-speaking guides who all possess a wealth of knowledge about Jaipur. Facebook fans 959. Twitter followers 201. Zimbabwe About Blog This is an Official Zimbabwe Tourism Website which features Zimbabwe's best destinations that should be explored, what to do, where to stay, where to go and more. Facebook fans n/a. Twitter followers 4,777. About Blog Hug Thailand is a travel information page about Thailand which is managed by Tourism Authority of Thailand (Sydney office). Information and data on tourist areas to the public, publicizes Thailand with the intention of encouraging international tourists. This blog shares the latest information, great tips, fun festivals, cool culture, activities, special deals and new destinations. Facebook fans 56,614. Twitter followers 995. Lambton, Ontario About Blog Tourism Sarnia-Lambton is the Destination Marketing Organization (DMO) for Lambton County welcoming visitors from all over the world. We provide quality up-to-date information for all tourism inquiries, brochure distribution for local facilities & attractions. Facebook fans 7,716. Twitter followers 2,283. Carmel, IN About Blog Hamilton County Tourism, Inc. is a not-for-profit organization developed to promote and encourage tourism and development of Hamilton County, Indiana, just north of Indianapolis. From food and harvest festivals to Conner Prairie to unique shops, attractions and heart-warming restaurants, Hamilton County is the place to be. Facebook fans 7,051. Twitter followers 11,770. Livermore, CA About Blog Pleasanton, Livermore, Dublin and Danville are bustling with events, restaurants, cafés, galleries, theaters and shops, so there's never a shortage of things to do. From lively street festivals to the serene Livermore Valley wine region, it's no wonder why our cities have been hailed as one of the "Hottest Neighborhoods in America". Facebook fans 19,525. Twitter followers 4,650. Regina, SK, CA, S4P 3P1 About Blog Tourism Regina, an industry sector of Economic Development Regina Inc. (EDR), is the official destination marketing organization representing Regina and region. It works in collaboration with the Regina region’s tourism sector and industry partners to promote and enhance Regina as a destination experience. Facebook fans 5,197. Twitter followers 5,361. Cairns - Australia About Blog Welcome to the official page for Tropical North Queensland. Feel the energy of a vibrant tropical culture of Cairns brought to life with festivals, events and experiences shaped by the Great Barrier Reef and the Wet Tropics rainforest. Revel in the outdoor lifestyle and ease of an intimate cosmopolitan city that is adventurous by nature. Facebook fans 173,615. Twitter followers 15,754. Stanford, South Africa About Blog Whether you’re looking for a weekend getaway, an all-inclusive retreat, or a family vacation spot, and regardless of whether you’re an outdoor adventurer, a history connoisseur, a wine and food lover, or someone seeking the mind-body connection, we’ve got you covered in our charming heritage village and surrounds. Facebook fans 5,770. Twitter followers 2,758. Abu Dhabi About Blog Emirates Tourism Magazine (ETM) is an international leading monthly publication devoted to all tourism related fields at the local, regional and international level, published in a bilingual (Arabic – English) format. ETM is affiliated to “Al Hesn Media Group”, located in Abu Dhabi, United Arab Emirates. Facebook fans 3,674. Twitter followers 43. Melbourne, Australia About Blog The expertise of the South America Tourism Office (SATO) has been built on the advice and experience of locals who have worked in the travel industry for more than two generations. Their mission is to provide an authentic Latin American travel experience which can be fully tailored to allow for your dream holiday. Facebook fans 1,371. Twitter followers 145. Arkansas, USA About Blog We are a group of people who are well-versed in the fun and rigors of traveling. Our travel agency came together to help other people plan and book their dream vacations. We have over 65 years of travel planning between us! Brecon, Wales About Blog This blog is here to support tourists and communities by offering an insight of what’s going on in the Brecon Beacons and surrounding area. The Brecon Beacons National Park blog tells you everything from hiking ideas, cycling routes, places to visit and what’s on. Facebook fans 16,413. Twitter followers 5,783. 1000 Islands, Brockville About Blog Brockville is a city rich in history situated alongside the St. Lawrence River and is home of the world famous 1000 Islands. Tall ships, shipwrecks, hydroplane boat races, boat cruises, and some of the world’s best freshwater diving make this community a watery wonderland with sights, activities and events for visitors to enjoy all summer long and throughout the year. Facebook fans 5,270. Twitter followers 4,265. London, UK About Blog Saint Lucia is the beautiful Caribbean island that has it all and more. Home to the magical Piton Mountains, Saint Lucia offers unspoilt rainforest, sun-soaked beaches, a world-class choice of accommodation, delicious dining and a whole range of unique and thrilling activities for everyone to enjoy. Facebook fans 12,034. Twitter followers 3,817. New Westminster About Blog Located in the heart of Metro Vancouver, New Westminster is a city full of rich history, amazing people and fun experiences! Tourism New Westminster is your online guide to tourist attractions, things to do, accommodations, dining, meeting facilities, sporting venues and so much more! Facebook fans n/a. Twitter followers 3,837. Ely, MN About Blog Timber Wolf Lodge is one of the oldest and finest Ely Minnesota Resorts, featuring cabin rentals and one of the best RV campgrounds in Minnesota. Facebook fans 2,592. Twitter followers 256. Abbotsford, BC, Canada About Blog Tourism Abbotsford is an independent not for profit City Destination Marketing Organization (CDMO) mandated to increase the volume and value of the local visitor economy. Tourism Abbotsford is a small City Destination Marketing Organization, which commenced operation in 2003. This is an official guide to Abbotsford, BC. Facebook fans 5,795. Twitter followers 6,355. Fredericton, New Brunswick About Blog Icidici is an online community magazine. Fredericton Tourism Blog features Fredericton's lifestyle, arts, entertainment, active living and more. Facebook fans 45. Twitter followers 627. Saint-Paul, Réunion About Blog Find all the latest travel info and learn more about Reunion Island. Facebook fans n/a. Twitter followers 18,459. Scotland About Blog Scotlandhour is a monthly chat on Twitter about where to stay, where to eat, what to do in Bonnie Scotland.Their mission is to support Scottish tourism and celebrate the best of Scotland for travellers and visitors. Facebook fans 779. Twitter followers 7,107. Cape Town About Blog Africa is taking its rightful place as a leader in responsible tourism. Better Tourism Africa was established in 2006 to lobby on behalf of the continent’s responsible tourism community. We also enable tourism businesses, destinations, local people and natural and cultural heritage to thrive. We believe tourism should help build prosperous & inclusive local economies & healthy natural environment. Facebook fans 1,381. Twitter followers 6,786. About Blog Venture North is a multi-award winning, family owned company specialising in small group cultural and nature based tours throughout Northern Australia. Experience remote Arnhem Land safaris, Kakadu tours, Kimberley expeditions and much more! New Zealand About Blog New Zealand Maori Tourism is committed to working with the Maori tourism sector to contribute to our economy, to provide compelling visitor experiences, and to build a strong commercial and cultural leadership. xperiences such as guided walks, white water rafting, art and cultural tours, fly-fishing, and the opportunity to hear the unique, in-depth stories of New Zealand's places. Facebook fans 1,260. Twitter followers 1,953. Alberta, Canada About Blog Alberta Culture and Tourism supports the development and sustainability of Alberta's cultural industries, tourism, the arts, recreation and sport, heritage and nonprofit/voluntary sector. Our mission is to promote, develop and support programs and services that encourage Albertans to enrich their lives through culture and heritage, recreation and sport, tourism and events. Facebook fans n/a. Twitter followers 8,585. Parry Sound, Ontario, Canada About Blog Parry Sound is a beautiful town, located on the shores of an inland “ocean”, Georgian Bay. Travel to Parry Sound, the heart of the 30,000 Islands of Georgian Bay. Discover our beaches, lakes and miles of shoreline, all within a short distance of places to stay, things to do and great dining. Parry Sound offers an amazing travel destination for all types of adventurers! Facebook fans 4,842. Twitter followers 2,352. Ireland About Blog Travel Extra is a monthly newspaper that is read by both consumer and trade. It covers all the travel related information about Ireland. It is a leading source of travel information regarding Ireland. Facebook fans n/a. Twitter followers 18,381. About Blog This blog is all about Gijón Tourism. It features Gijón's culture, nature, sports, events and more. About Blog This blog features everything you want to know about what's going on in the tourism area of Niagara Falls, Ontario, Canada, including reviews, pictures and videos. Facebook fans 105. Twitter followers 2,392. About Blog It is a blog about travel and tourism industry news. Prince Albert, Saskatchewan About Blog The beautiful City of Prince Albert is situated on the North Saskatchewan River in Central Saskatchewan. The City rests on the south bank of the river, which divides the province's aspen parkland from the boreal forest on the north bank. This blog provides information, events, attractions things to do, places to stay and more in Prince Albert & Area. Facebook fans 1,190. Twitter followers 956. Laurentides, Québec, Canada About Blog Located minutes north of Montreal, the Laurentians region is a four-season resort destination of international caliber, offering a multitude of outdoor activities and festivals. Renowned for the beauty of its landscapes and its natural setting, you'll find here high quality accommodation and all services necessary for a memorable stay. Facebook fans 46,693. Twitter followers 5,604. Buffalo, NY About Blog Visit Buffalo Niagara sells and markets our assets and attractions to visitors outside the Buffalo Niagara region as a convention, tourism and leisure destination for the economic benefit of the community. Visit Buffalo Niagara gives you the insider’s perspective on our surprising city -- Buffalo, New York. Explore Things to Do, Shopping, Dining, Hotels, Restaurants & More in Buffalo-Niagara NY! Facebook fans 91,894. Twitter followers 28,179. About Blog The official website of the Tourism Association of Rincon, Puerto Rico. Their mission is to promote tourism and member businesses in Rincon, Puerto Rico. This blog is an official Puerto Rico visitors guide to hotels, vacation rentals, activities and more. Facebook fans 3,762. Twitter followers n/a. Jammu and Kashmir About Blog Kashmir Hills is the first tourism site which caters all tourism related information on Kashmir under one roof. It is a venture of Kashmir Mart which helps tourists find the best and cost-effective tour and travel packages for Jammu and Kashmir. This website is managed by Kashmir Mart (Tours & Travels), a leading tourism operator for Jammu and Kashmir. Facebook fans 4,393. Twitter followers 90.
all over Australia About Blog Wildlife Tourism Australia (WTA) is a not for profit incorporated association founded in 2003. Our mission to promote the sustainable development of a diverse wildlife tourism industry that supports conservation. Learn about Australian wildlife, travel opportunities, how to tread lightly, activities of WTA, extensive bibliography, coming events, news items. Facebook fans 11,683. Twitter followers 1,002. Cape Town About Blog Wine Tourism is a complete guide to all things wine and its perfect pairings. Wine Tourism Travel Guide helps you to find essential wine, food and travel information including clear colour maps and the oh-so-important wine farm opening times. Facebook fans n/a. Twitter followers 9,371. Langley, BC About Blog Tourism Langley is a Destination Management Organization, and not-for-profit society, governed by an independent Board of Directors who is mandated to deliver effective marketing strategies that will generate increased visitation, extended stays, more revenues and increased daily expenditures for businesses in the City and Township of Langley. Visit Langley, BC & experience endless choices. Facebook fans 9,675. Twitter followers 7,499. Nepal About Blog Liberty Holidays is a premier travel agency independently owned Destination Management Company (DMC) / Inbound and Outbound Tour Operator in Kathmandu Nepal.With Liberty Holidays, you can always book sightseeing tours, attractions, private day trips, things to do, hotels, rental cars and vacation packages securely online with instant confirmation. Facebook fans 4,285. Twitter followers 358. New Zealand About Blog This blog uses online technology to create a community for tourism in New Zealand that provides ongoing and accessible information for all parts of the industry, particularly for the small business operator that does not often get the opportunity to network and learn at conferences, workshops or industry events. Facebook fans n/a. Twitter followers 5,053. 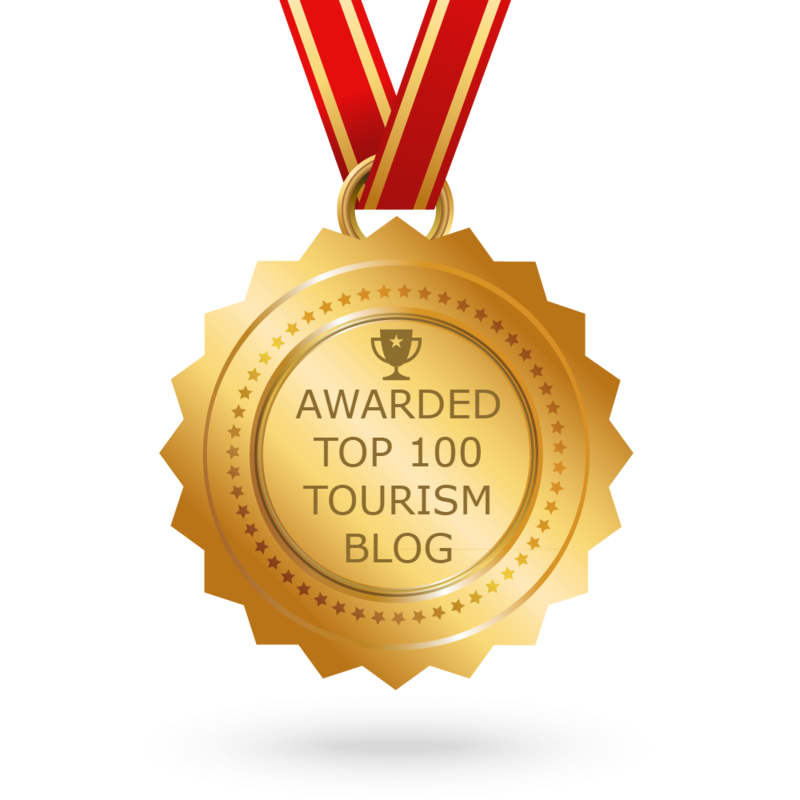 CONGRATULATIONS to every blogger that has made this Top Tourism Blogs list! This is the most comprehensive list of best Tourism blogs on the internet and I’m honoured to have you as part of this! I personally give you a high-five and want to thank you for your contribution to this world.